Mainly Music is a fun music group for parents, carers or grandparents to enjoy together with their young child. It encourages children to develop their gross and fine motor skills, language, imagination, mathematical and pre-reading skills as well as socialise with others. 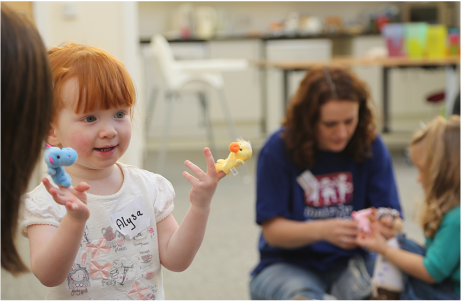 The interactive thirty minute music session is followed by an eat/play/chat time. It's ideally suited to children aged 1-4. Friday mornings (during term time), from 9.30-11am. The cost is £2 per family, and morning tea will be provided. please contact mainlymusic@westhillcommunitychurch.org or contact Vanessa in the church office via 01224 740291.